Mad Dr. Frankensteins, urban legends about kidney heists, and horror stories in which transplanted organs infect their new hosts with a murderous impulse all speak to a powerful underlying current of fear in discussions of organ exchange. 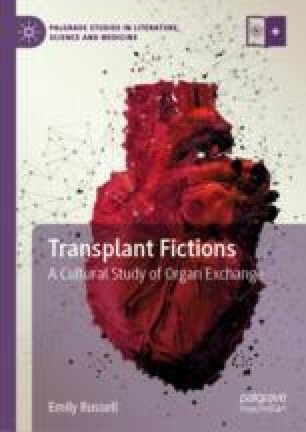 This chapter analyzes the horrific narratives of transplantation that dramatize these common fears. But rather than criticizing these negative portrayals as a roadblock to greater public acceptance, I argue that this outlet for public fears is a necessary part of coming to grips with radically experimental medical practices. The texts examined in this chapter dramatize these fears, not to limit our acceptance of the practice, but to paradoxically reassure us that such transgressions are located safely at a generic extreme.